Mary Reilly from Ballybough doesn’t follow sport, but she likes the Dublin football murals. 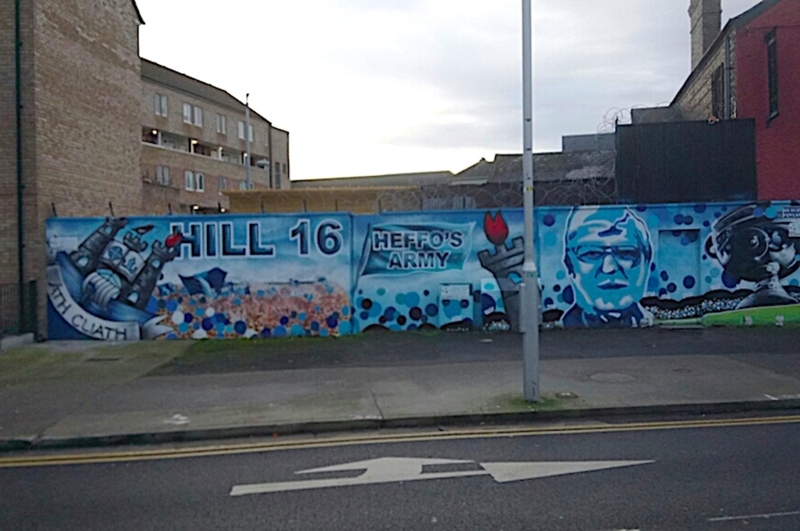 Coming back from walking her little white dog in the Fairview park on Tuesday morning, she stopped at the Dublin-football themed, “Heffo’s Army” mural in Ballybough. There is another mural ready and waiting to go up beside that one too. It’s by Dublin Canvas, and made up of cartoon-style pictures of well-known figures in the local community. “I’m delighted to hear that now,” says Reilly. 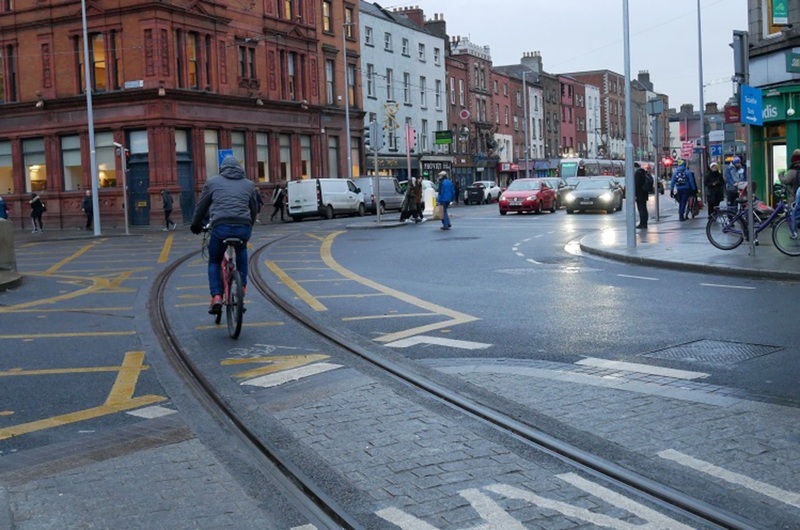 Residents across the north-east inner city have seen a few new murals lately, with more to come: €80,000 has been set aside for street art as part of the regeneration, said a spokesperson for Dublin City Council. And some say that making the streets more beautiful and investing in art not only increases people’s pride in their area, but can even reduce crime. 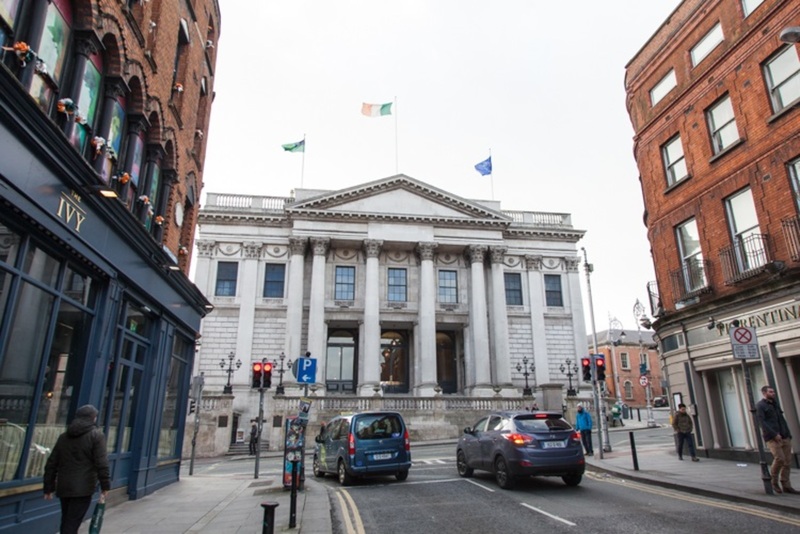 “A number of works have been completed in 2017 with the support of local communities, youth services and site owners,” said a spokesperson for Dublin City Council. 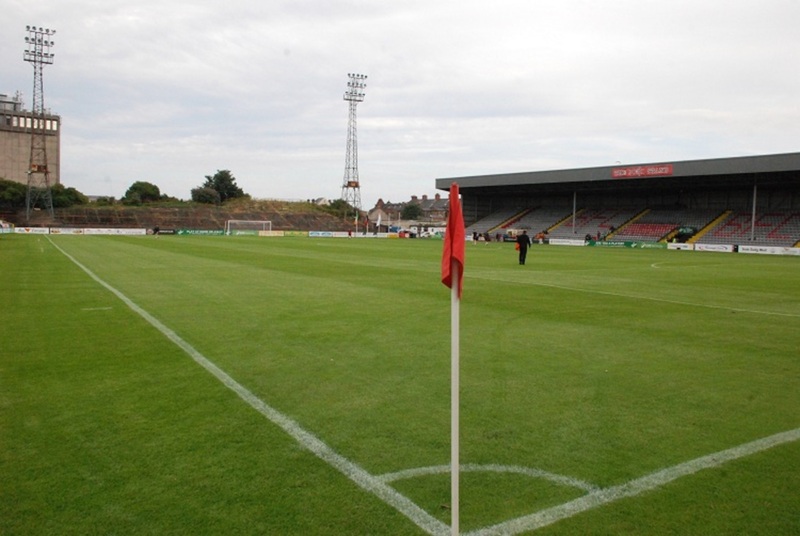 That includes the Dublin-football themed murals at Ballybough and Croke Villas, as well as others at the junction of Russell Street and North Circular Road, the Brendan Behan and Clonliffe House, she says. In 2018 Dublin Canvas, well-known for decorating the traffic-signal boxes around the city, will organise an open call to artists to pitch ideas for more street-art projects and murals, she says. 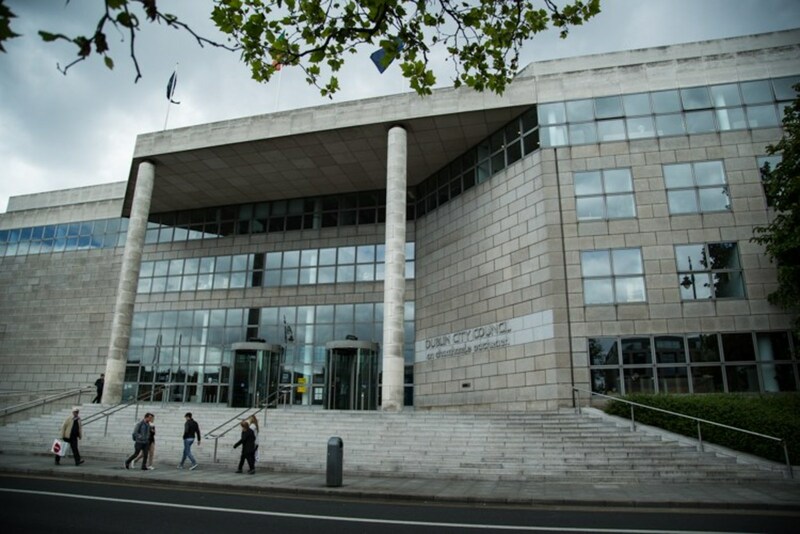 There is also €200,000 set aside for planting trees, and other improvements aimed at “greening” the area, according to the latest report presented to local councillors on the regeneration. “Crime-prevention through environmental design works,” says Trina O’Connor, a criminologist and community activist from the north inner city. That means designing spaces that are open-plan, easy to monitor, clean and tidy. It also means involving locals in building usable public and community spaces, eradicating dereliction and creating beauty, she says. Public art can play a crucial role in making an urban area look more beautiful. “It creates, visually, a much more positive experience for people living in the area,” she says. If people are looking at murals of local heroes like Dublin football players, rather than at dereliction, it makes a big difference – it creates a sense of pride in the community, says O’Connor. And, when they’re part of an overall plan for improving the built environment in an area, they can have a real impact on reducing crime there, she says. Terence Love, director of Design Out Crime & CPTED Centre in Perth, Australia, is less certain. “Sound evidence on success in reducing crime is scanty,” he says. Still, “street art and murals have been used in Crime Prevention Through Environmental Design (CPTED) in many places,” Love says. In some places it has been used in attempts to reduce graffiti, for example. “Art indicates somewhere is cared for and hence there may be resistance to crime,” Love says. In such cases, it is best if local street artists are involved in creating the murals, he says. “Paying local people to create murals increases support for artists in the community and adds to money available in socio-economically deprived communities,” he says. Community workers and youth workers should be consulted as well as young people themselves and others actively involved in the community, he says. Steve Woolrich, the principal of Rethink Urban, which worked on a project to dress up laneways in Red Deer, Alberta, in Canada, in an effort to reduce crime, revitalise the area, and engage at-risk youth. “Investing in public art can have a significant impact on reducing crime, particularly property crimes such as graffiti,” Woolrich says. It creates more interest and ownership in areas where murals are present, and essentially encourages more “eyes on the street”, something that urban activist Jane Jacobs often highlighted, he says. Communities are very art literate these days, says Carey, so the work has to be of an excellent quality. People in the inner city “know their art,” she says. Carey also said she hopes that young people will be involved. It’s a way, she suggests, of learning creative skills which opens up new and previously unconsidered opportunities. It can change their whole perspective on themselves and the possibilities of what they can do. “It is the future you never really thought about,” says Carey.